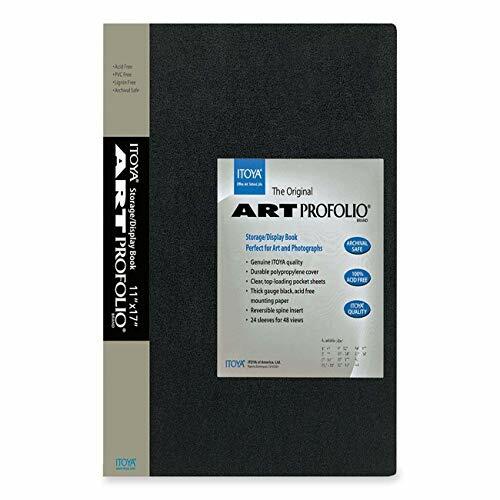 Art storage/display book is great for storing and displaying photographs and film. 24 top-loading, clear polypropylene sleeves will not stick to copier toner. Reversible spine insert allows you to customize your title and organization. 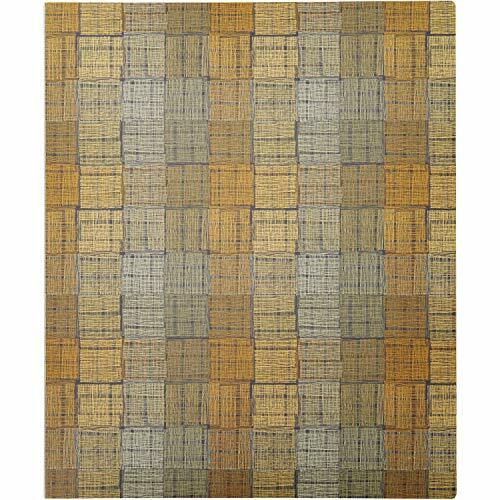 Durable polypropylene construction of pages and cover is PVC-free and acid-free. 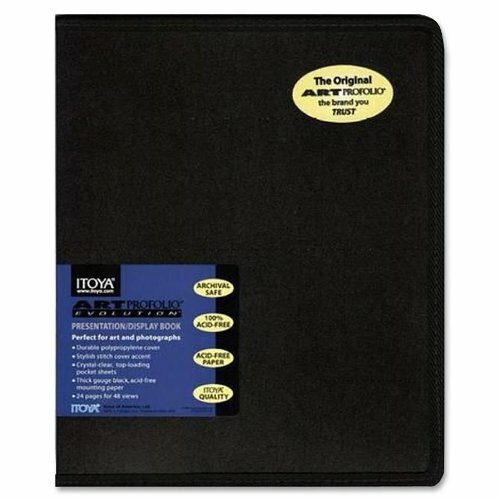 Each page includes black mounting paper that is acid-free. 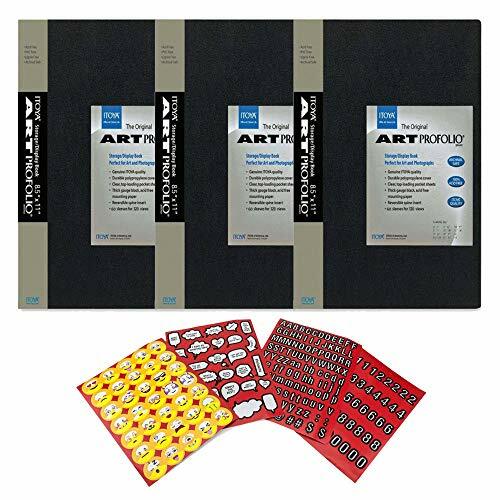 Art book is archival safe for all your art storage needs. C-LINE-Presentation Book. 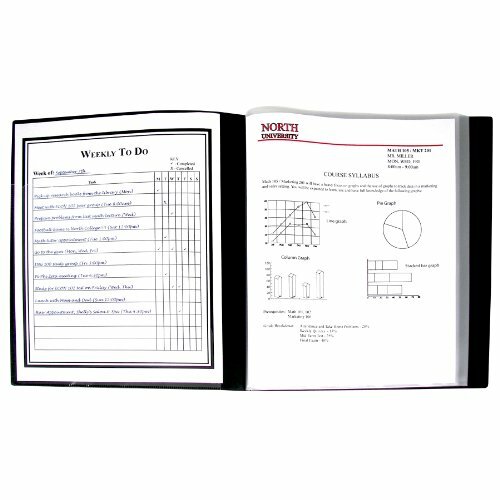 Create professional looking reports and documents with this black presentation book. Inside are twelve top- loading 8-1/2x11 inch page protectors and a pocket on the front cover. The outer spine has a reversible insert that can be customized to individual projects. 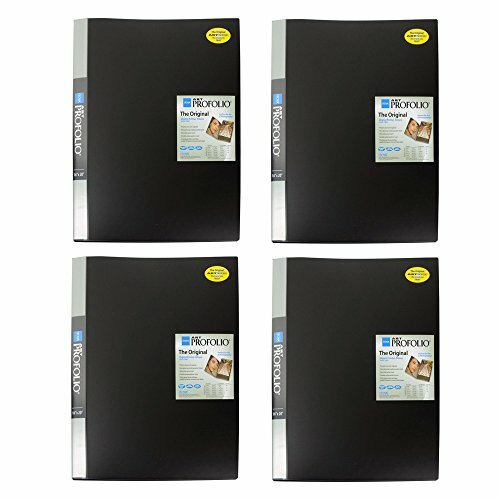 This package contains one 11-1/2x9-3/4x1/2 inch black presentation book made from archival quality poly. Imported. This is the simplest way to bind work into a portfolio book! Start by peeling back the release liner to expose the archival adhesive. 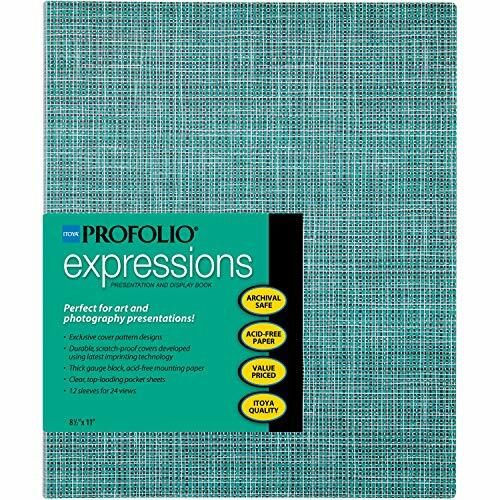 Adhere your work to the edge and place the sheet into your portfolio book or binder. An ideal system for screwpost or multi-ring or 3-ring binding systems. Made of archival grade DuPont polyester, these hinge strips will not damage your work over time, are perfectly clear and will not tear. In packages of 10 strips. Featuring the Itoya exclusive crystal clear Polyglass pocket sheets, the Advantage line sports a fresh contemporary look for the ultimate understatement in presentation and storage. 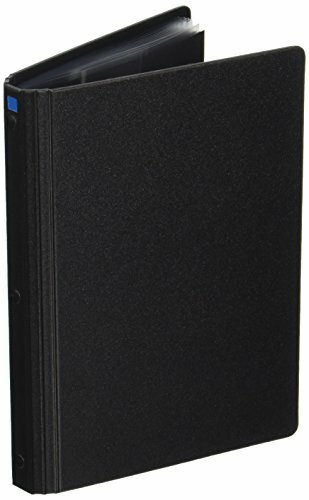 Using a special polypropylene material incorporated in a rigid, yet lightweight black poly cover for added durability, these books are easily mobile. 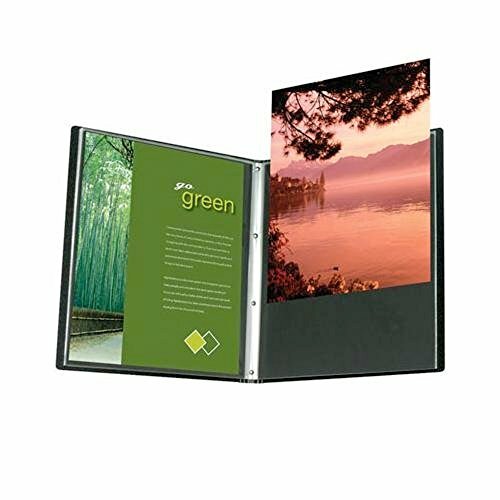 The multi-fold spine will lie completely flat for presentations and 24 pages allow for 48 inserts. 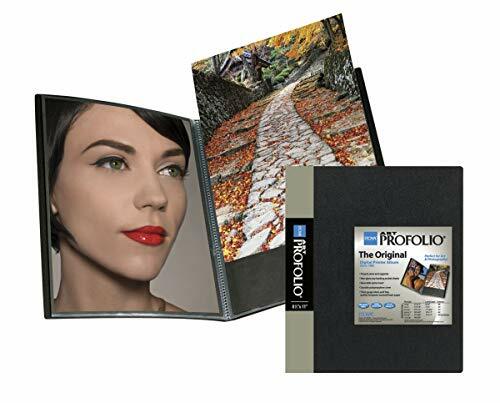 As with all Profolios, the book is acid- free and contains acid-free black mounting paper. 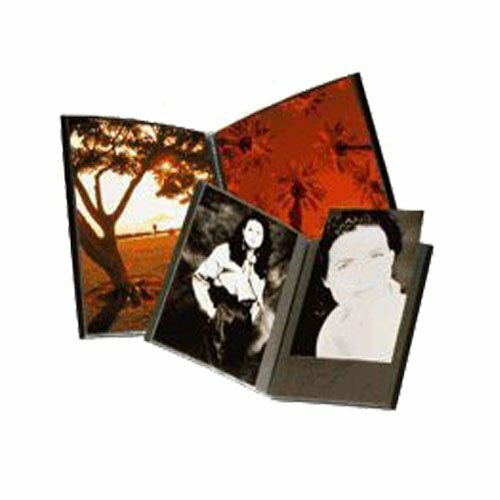 Art Portfolio Presentation Display Book offers you archival safe presentation and storage for your art work, photographs and a wide variety of other materials. 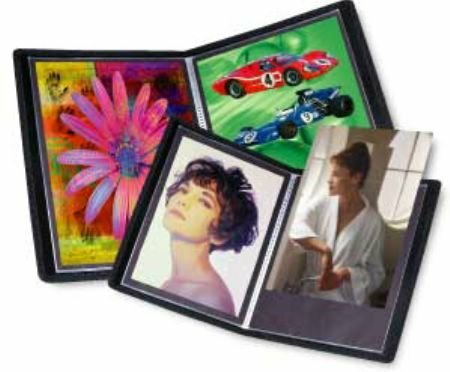 Acid-free, pvc-free, lignin-free, crystal clear, top-loading polypropylene pocket sheets come with backing sheets of thick gauge acid-free black mounting paper. 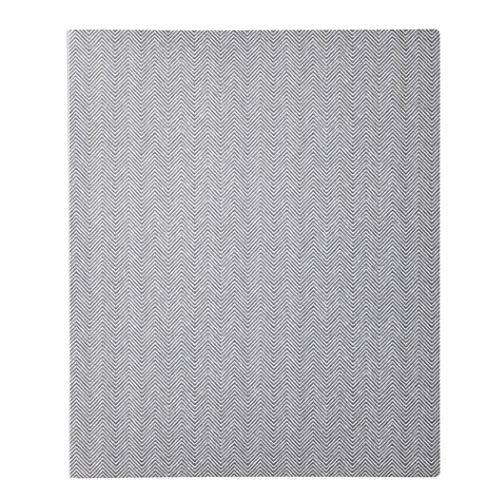 Clear poly cover features stylish nylon stitching. 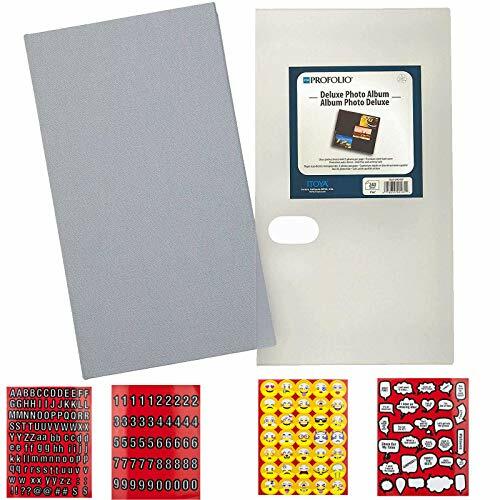 Offered in letter size with 12 clear pockets for 24 views. 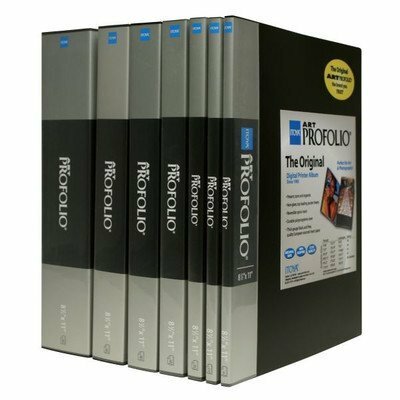 Acid-free and archival safe, Itoya's Art Profolio PolyGlass pages are professional quality pages made for ITOYA Art Profolio Multi-Ring Binder and other standard multi-ring binders. These pages are ideal for photographers, digital images and artwork. They are made with crystal clear polypropylene material that is photo, toner and ink jet-safe. An acid-free paper insert is included in each page, making sure that the pages doesn't stick to ink jet, laser or copier toner. 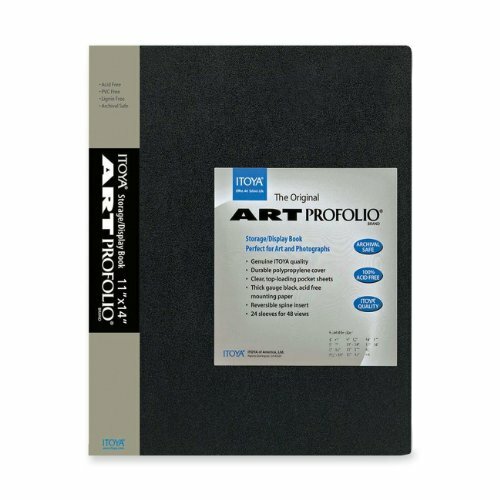 ITOYA ART PORTFOLIO POLYGLASS REFILL PAGES: Acid-free and archival safe, Itoya's Art Profolio PolyGlass pages are professional quality pages made for ITOYA Art Profolio Multi-Ring Binder and other standard multi-ring binders. 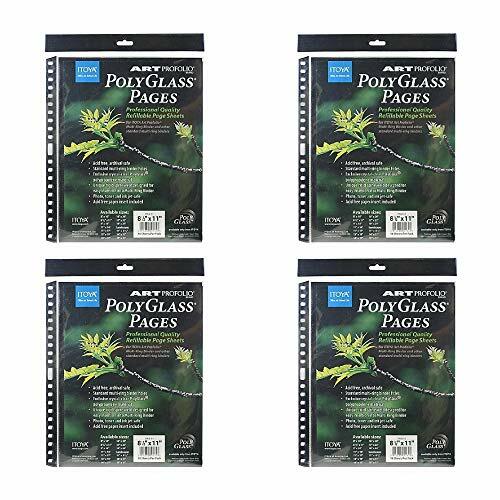 IDEAL FOR: These pages are ideal for photographers, digital images and artwork. MATERIAL: They are made with crystal clear polypropylene material that is photo, toner and ink jet-safe. ACID-FREE: An acid-free paper insert is included in each page, making sure that the pages doesn't stick to ink jet, laser or copier toner. 24 sleeves for 48 views / Paper Size: 16" x 20"